Eg. Include; specific timeframes, spreadsheets with cargo weight/dimensions/descriptions etc. Wallace International has an experienced and dedicated Project Logistics team that works with a Global network of agencies to help co-ordinate your every need for your specific project. Wallace International will assist you through the process of importing or exporting your Machinery, Plant or Equipment into or out of Australia. 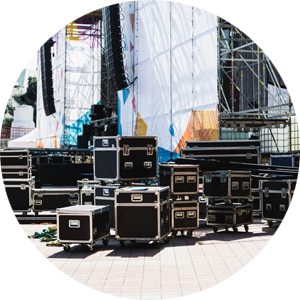 Wallace International has a special team focus on the management of the Freight and Landside Logistics of tradeshows, events and festivals. Project Freight requires expert planning management and handling of complex cargo movements. At Wallace International, our specialist team members take the time to understand your business, acting as an extension, and aware of the impact we have on your success. Marine Logistics - The Import and Export of Large Motor Yachts; Water to Water, Crane, On-Trailer, Cradle Construction and Discharge. 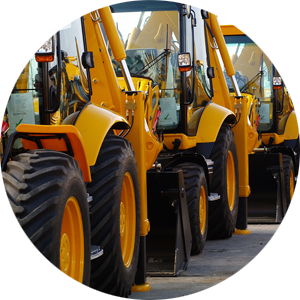 Construction Equipment - Construction Machines, Construction Materials. Timber Industry Imports - Break Bulk and Containerised Timber Import- Unpack and Deliveries. Medical Equipment - Time Critical Medical Devices and Equipment and sensitive medical machines like CT Scanners and MRI machines. Prestige and Heritage Car - Imports and Export, including Race and Rally Events. Aerospace and Aviation Industry - AOG Aircraft on Ground shipments, Aircraft Equipment and Machines, Whole Aircraft and self-piloted clearances into Australia. Oil and Gas Exploration Equipment. Wine Industry - Wine Export and Import and all associated documentation as well as Wine Accessory Imports, i.e. Bottles, Caps, Packaging etc. Coffee Industry - Coffee Imports and Quarantine facilitation – We have been members of ACTA (Australian Coffee Traders Association) for decades. Food and Beverage Industry - Dry Food and Temperature Controlled food in our own Temperature Controlled facilities in Brisbane, Sydney and Perth. The above list is comprehensive but it is by no means complete. It is an example of some of the areas you can contact Wallace International and expect your enquiry to be met with experience and enthusiasm. The Import and Export process of complex freight volume, weights & configurations can be eased with the assistance of the experienced Wallace team. Planning, schedules, shipping, permits, equipment, are all important procedures that need to be administered upon initial engagement. Container Configuration and Shipping - An understanding of the containers’ configuration, the Shipment Plan and the Terms of Trade; is paramount. As well as an understanding of Vessel and Line capabilities, their services and schedules, Import clearance and landside logistics all play a part in the door to door process and handling. Import Clearance - 100 % of Imported/Exported goods are subjected to clearance and can be held by several Government Agencies. Australian Border Force/ Homeland Security/ Customs/ Bio-security/ Quarantine/ Federal office of Road Safety/ Department of Environment and Energy etc., to name a few. Our licenced Brokers can step you through the documentation process, advise with regards to Tariff classification, Free Trade, Concessional Rates, Import Duty and Tax Liability. Transport and Handling - Advice regarding the correct mode of transport, handling and lifts, are extremely important for safe carriage of goods and compliance with the Chain of Responsibility regulations. Out of gauge, heavy lifts, side loaders/ trailers/ low loaders/ police permits and escorts are just some of the requirements for road transport. The process involved meetings regarding Import Duty & GST liability, inductions, logistic capabilities , site inspections Australia-wide and to plan trucking and unpacking of 70 containers on-site, into small areas and finally the strategic placement of machines into store. Wallace International was contacted by a large national company in Melbourne regarding a substantial Freight project involving 14 x 40’ containers. They had already placed this order overseas. The German supplier arranged a CIF Term (Carriage and Insurance Paid to) which took the 14 containers as far as Melbourne Port with no documentation submitted for the process. At this point, there was no consultation with regards to the Import Clearance requirements nor the Import Duty and Tax liabilities. We understand the level of investment that our clients put towards these events therefore we believe this type of projects require a special personalized care. You can count on our specialised team to get your freight to the place you need on time and in perfect condition. 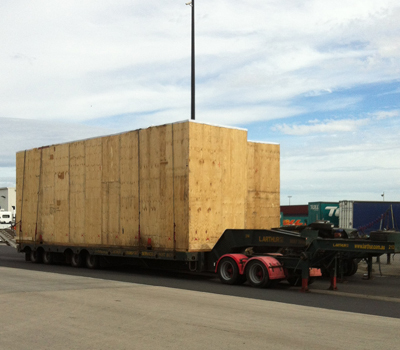 We recently customs cleared and delivered a 40ft container of stage show equipment into Melbourne under carnet. We were up against tight deadlines for the first show but negotiated the carnet and quarantine clearance swiftly without complications. We recently handled the equipment for a Theatre Festival performing in ‘Her Majesty Theatre’ Auckland. This cargo was 8347 Kgs 46.29 CBM. Due to the tight time line this shipment needed to be airfreighted from Adelaide to Auckland to meet the deadline. Wallace International have been involved in large Oil and Gas Mining projects with staging and long-haul requirements. Project cargo can relate to many forms, whether a single high volume/ valued consignment requiring specialist attention to long term (2-3 year) contracts with on-going monitoring. Project type equipment can vary from containers of Solar Panels for Eco-Farm construction, to out of gauge Oil and Gas equipment for Oil Rigs and Mining developments. Our specialised team ensures a smooth transition of cargo throughout the complete International freight and logistics supply chain. 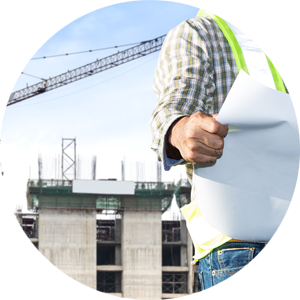 Understanding the importance of an accurate, complete and precise scope of works by both parties optimizes the overall success of the project door to door. We ensures the overall management is completed with an experienced, motivated and professional attitude.